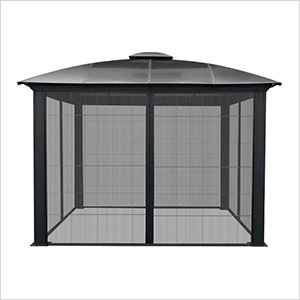 The elegant 12 ft. x 12 ft. Domed Hard Top Gazebo from Paragon Outdoor, one of the nation's leading makers of backyard structures, is the perfect way to provide shade for your patio or garden. 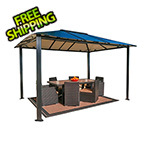 Its contemporary look makes it a great fit for any setting, and many of its design elements were taken directly from customer feedback. 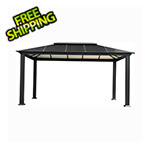 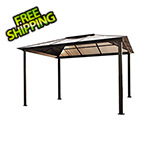 This Paragon Outdoor Gazebo can be used all year round, as the thick frame posts are made of heavy gauge aluminum.